New Project! 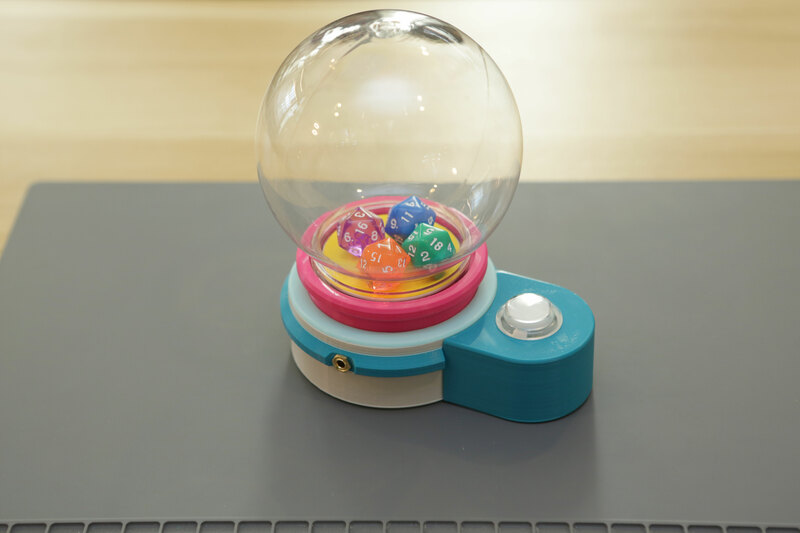 Automatic Dice Roller « Adafruit Industries – Makers, hackers, artists, designers and engineers! This project allows people who need accessibility tech to “roll” the dice. Use it to play games like Yahtzee, left right center, math activities, war with dice, rock paper scissor dice and even bowling dice. Just press the glowing arcade button to spin the platter! The twisty top snow globe easily comes off and you can put dice or whatever object (LEGO maybe?) you want on the platter to roll and spin. The platter spins pretty fast so you can get a good roll. Or use D20’s to make a random number generator! Think of this project as an introduction to electronics and mechanical design. As an educator, this type of project could be useful to teach students how to approach problems and how they can solve them with design and engineering.